A study done by researchers at the Intermountain Medical Center Heart Institute in Salt Lake City has found that atrial fibrillation patients who are on blood thinning medications are at higher risk of developing dementia if their doses are not in the optimal recommended range. The findings presented at the 2014 Annual Heart Rhythm Society Scientific Session on Friday, May 9th, 2014 in San Francisco. A release from the center reports that the study of more than 2,600 AFib patients using medicines to prevent blood clots, such as warfarin, are significantly more likely to develop dementia when their dosing is too high or too low for an extended period of time. In the United States, nearly one in 10 people, or about 2.7 million Americans, develop AFib in their lifetimes. Atrial fibrillation is a quivering or irregular heartbeat that can lead to blood clots, stroke, heart failure, and other heart-related complications. Physicians try to achieve an international normalized ratio (a test used to learn how fast the blood clots) of two to three, which is within the therapeutic range, or the safety range. Typically, dosages higher than the therapeutic range can increase the risk of bleeding. If the dose is lower than the therapeutic range, it can increase risk of blood clots forming. The release quotes Jared Bunch, MD, lead author and director of electrophysiology research, as saying, "Most patients who develop atrial fibrillation require the use of an anticoagulant to prevent a stroke. The most common anticoagulant used worldwide is warfarin, and we now know that if warfarin doses are consistently too high or too low, one of the long-term consequences can be brain damage. This points to the possibility that dementia in atrial fibrillation patients is partly due to small repetitive clots and/or bleeds in the brain." Results from the Intermountain Medical Center Heart Institute study were collected from 2,693 patients, with 4.1 percent of them being diagnosed with dementia. Results were based on the percentage of time their blood-thinning medications were within the range. The more time their dosages were within the range, the less risk they had of developing dementia. *Patients within the therapeutic range less than 25 percent of the time were 4.5 times more likely to develop dementia. *Patients within the therapeutic range 25-50 percent of the time were 4.1 times more likely to develop dementia. *Patients within the therapeutic range 51-75 percent were only 2.5 percent more likely to develop dementia. The increased risk remained significant when adjusting for common risks of both stroke and bleeding, noted Dr. Bunch. "Our results from the study tell us two things," he said. 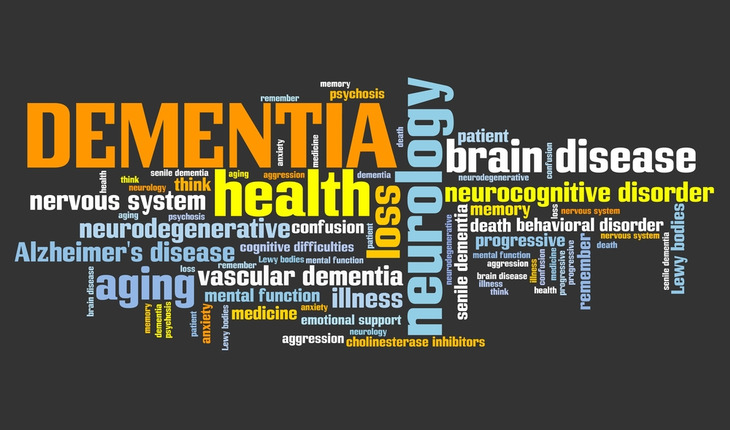 "With careful use of anticoagulation medications, the dementia risk can be reduced. Patients on warfarin need very close follow-up in specialized anticoagulation centers if possible to ensure their blood levels are within the recommended levels more often. Second, these results also point to a potential new long-term consequence of dependency on long-term anticoagulation medications. In this regard, stroke prevention therapies do not require long-term anticoagulation medications and reducing the use of these drugs will hopefully lower dementia risk." Dementia is cognitive dysfunction that impacts quality of life. Dementia is a progressive disease, and the impact on quality of life often worsens not only for patients, but also for their families and loved ones. Warfarin is used to prevent blood clots in atrial fibrillation patients, and though it is an effective therapy, the drug poses risks if improperly dosed. Proper dosing of warfarin is complicated because the drug interacts with many other common medications, as well as some foods. When determining an initial dose of warfarin, physicians often start with a standard dose and can take certain clinical indicators into account to alter that dose. These clinical measures include age, body size, smoking status, and use of certain medications. During the initial weeks of therapy, the warfarin activity is monitored closely through blood tests, and adjustments are made as needed.